New York City bagels are famous and a point of heated debate among New Yorkers. Most New Yorkers will agree that a fresh bagel should always be boiled, and never be toasted. While some bagel enthusiasts love the large, doughy bagels found at most New York shops, others prefer chewier, denser bagels that are rarer, but not difficult to find. You won't know which type of bagel each shop produces until entering, so it's best to consult this list before venturing out. And, whichever type of bagel (everything, egg, pumpernickel or plain) and topping you crave be it lox (smoked salmon) or classic cream cheese, check out the top picks for the city's best. For those that prefer toasted bagels, don't worry, most shops will be happy to toast them for you without judgment. If carbo-loading first thing in the morning isn't exactly your cup of tea, there are many other New York breakfast staples that can be found in the city. The line out the door on weekend mornings is the first sign that you're in for a treat at this no-frills bagel shop near Columbia University. Feast on large, light bagels topped with heaping scoops of cream cheese; spreads include the standards (scallion cream cheese, smoked salmon) and more creative flavors (jalapeño cream cheese, Tofutti spreads). The pro move is to ask for whatever is fresh out of the oven — no toasting required; the store is cash only. Many New Yorkers (including Arthur Schwartz) claim the best bagel is in Brooklyn at the Bagel Hole in Park Slope. The Bagel Hole serves up the dense, chewy bagel that many New Yorkers adore. 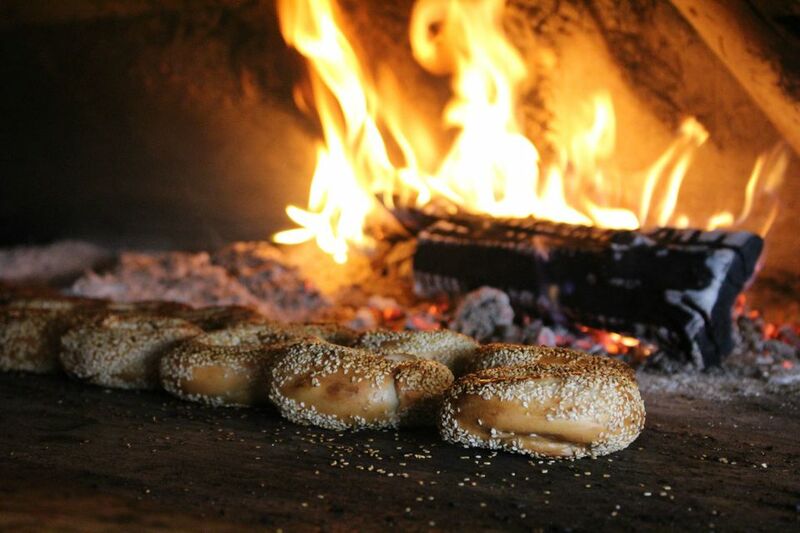 Black Seed Bagels created a hybrid bagel that merges Montreal's wood-fired style with New York City's doughy, boiled variety. A short walk from Grand Central, Daniel's offers the popular smaller, chewy, dense bagels. They won't toast them for you, but there's no reason to. Large, tasty bagels and lox dotted cream cheese can be found at these two wildly popular Ess-a-Bagel locations. This Lower East Side institution is most famous for its bialys, but Kossar's also offers deliciously dense hand rolled, kettle boiled malt bagels. No hybrids here. Mile End serves authentic Montreal-style bagels to skeptical New Yorkers. The original location is located in Boerum Hill, Brooklyn, but they now have a location in Downtown as well. Another shop serving the classic doughy variety, Murray's has two locations, in Greenwich Village and in Chelsea, and quite a few fans.